Washing dishes is such a chore, isn’t it? You have to stand at the sink, applying vigoroous amounts of soap, water, and elbow grease to try and pry some stubborn specks of food off your nice china. It’s unpleasant, and what’s more, it’s wasteful. Not only does it waste your time, it’s also bad for the planet. Clean dishes aren’t worth the planet. Not when there’s an option. KitchenAid has been making great advances in dishwashing technology ever since they released their very first dishwashing unit in 1949. With every year, their machines have gotten better, smarter, easier to use, more effective at cleaning, and quieter. Bit by bit, KitchenAid is improving your life. 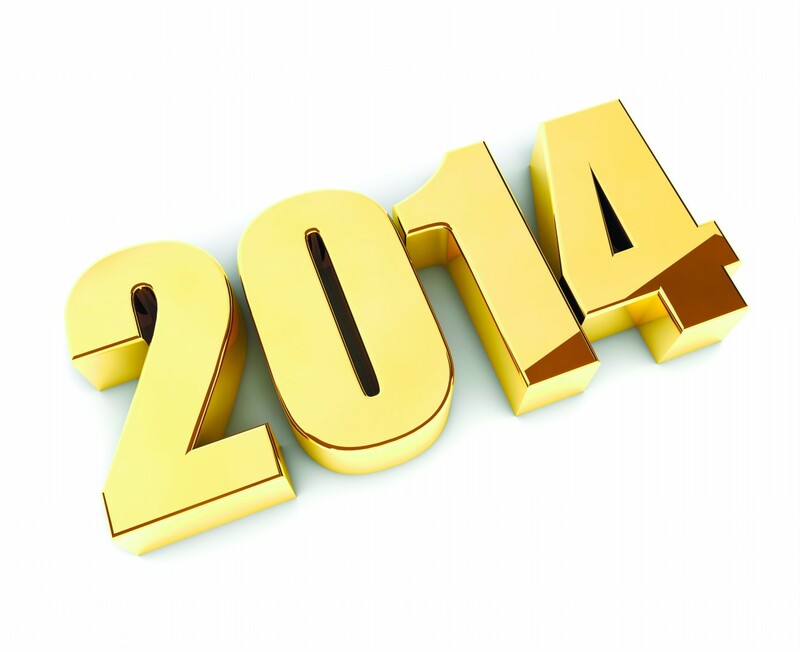 So what’s in store for 2014 in KitchenAid dishwashers? Well, the era of pre-rinsing and pre-scrubbing your dishes is rapidly drawing to a close. For decades, we’ve had to wash our dishes before we washed our dishes; well, no more! KitchenAid this year is introducing a brand-new smart wash cycle called ProWash. ProWash will use a water rinse to determine the size of the load, the level of dish soiling, and just exactly how stubborn the mess is, and will then intelligently adjust the wash cycle so that it cleans your dishes perfectly on the first go. And not only that, but it will make sure it uses the most energy- and water-efficient method to do so. So it will get your dishes cleaner than usual faster than usual while using less water and energy than usual. Smashing! KitchenAid also unveiled their new ProDry system, designed to get your dishes dryer faster, getting you better results than you might receive from competing dishwashers. ProDry hinges on the mingling of dry and humid air to improve drying performance. As the tub cools, the remaining moisture condenses on the stainless steel surface, drawing moisture off the dishes. Combined with the low-profile recessed heating dual-watt element, ProDry is simply more effective at finishing the cleaning job. Washing has also been made more effective with their new filter-based wash system. 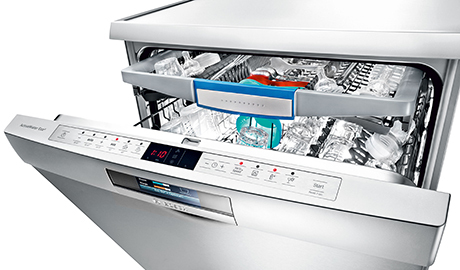 This amazing new development features press-optimized wash warms, which pumps water out through jets throughout the entire dishwasher interior, alternating three targeted wash zones for increased washing efficiency. The targeting means that more high-pressure water is project at a single location, doing more effective work at removing tough encrusted bits of food. All this with a self-calibrating wash sensor, like in ProWash above, which keeps track of the wash progress and adjusts the output and performance on the fly, making sure your dishes are being washed right. What else? Well, KitchenAid dishwashers, always the quietest on the market, are even quieter. The Whisper Quietsystem now reduces noise to a barely audible 39 dBAs, which is quieter than a library. You could operate this thing in the middle of the New York Public Library and never get asked to leave, except for the fact that you are operating a dishwasher; the noise sure wouldn’t be an issue. The noise in a KitchenAid dishwasher will never exceed 46 dBA’s, quieter than a normal conversation, during normal operation. The ProScrub Trio option features forty water spray jets at the back of the dishwasher which will pump powerful streams at your dishes to remove caked-, seared-, and baked-on food matter with 40% more coverage than the standard ProScrub feature. Kiss pre-soaking goodbye forever. And aiding in overall efficiency in operation is the new AquaSense Release System. This special system increases water efficiency by re-filtering and re-cleaning water from the last load and uses it instead of fresh-water for the pre-rinse cycle in your next load, storing up to 3.5. quarts of water for re-use in a side tank. This feature will reduce your water usage by up to 33% per load. KitchenAid is at the forefront of changing how your kitchen works and how you use it. Embrace the kitchen revolution. Making your home more energy-efficient can sound like a difficult endeavor. Visions dance in your head of painstakingly installing solar panels on your home and only eating food you grow in your own specially-designed geodesic dome. But it doesn’t have to be that way. It can be as simple as a few best-practices or upgrading your refrigerator. It can, in fact, be easy being green, and we’re here to show you how. However, if you can afford the geodesic dome, definitely give it a good think. First, you can increase your home’s energy efficiency with a few little home hacks. – Use shades, blinds, and drapes to help with heating and cooling. Open or close them as needed to take advantage of the sun’s natural heating, opening them when you want a little free warmth and closing them during the dog days of summer. This will supplement, not replace, your current heating and air conditioning systems. – Seal off cracks and gaps around windows and doors with caulk and weather stripping. It helps keep the warm or cool air in your house. – Use fans in summer, even if you have an air conditioner, because it will circulate the air, meaning your entire home will cool off faster. That means your air condition simply won’t need to work as hard. – Turn off your lights when no one needs them. This seems like a no-brainer, but lots of people routinely leave lights on where they aren’t being used. Additionally, you can look into getting a dimmer switch installed, which gives you increased control over lighting levels and means you can use less electricity by finding an acceptable lighting level that uses less energy. – Use power strips! 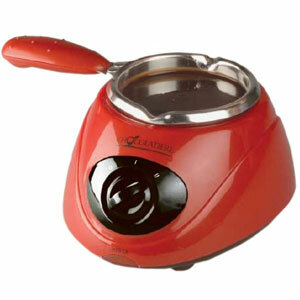 Lots of home appliances and gizmos use electricity even whey aren’t turned on. Sometimes called “energy vampires,” these are products that have some sort of standby mode that means they continue to drain energy from the outlet, and can cost you upwards of $100 a year. You can use power strips as a central “off point,” letting you cut these vampires off from their food. While we’re at it, phone chargers also tend to be energy vampires. Unplug them when you aren’t charging your phone. You can start using more energy-efficient appliances. – These may require an upfront investment, but they will save you money in the long run, and are much better for the planet than more wasteful appliances. – Switch to natural gas appliances if you can. It’s usually less expensive than electricity, and is much more energy efficient, only losing 10% of its energy to heat burnoff, meaning that 90% of the energy is put to use. In contrast, your car has only 35% efficiency. – Consider installing a tankless water heater. Since heating water accounts for up to 30% of a home’s energy budget, any reduction is a welcome one, and tankless gas-fired water heaters can reduce your energy costs by 50% over regular storage heaters. Upfront costs may be high, but significant energy savings over time can be expected. And as they are far more efficient than traditional units, they’re environmental value can’t be overstated. 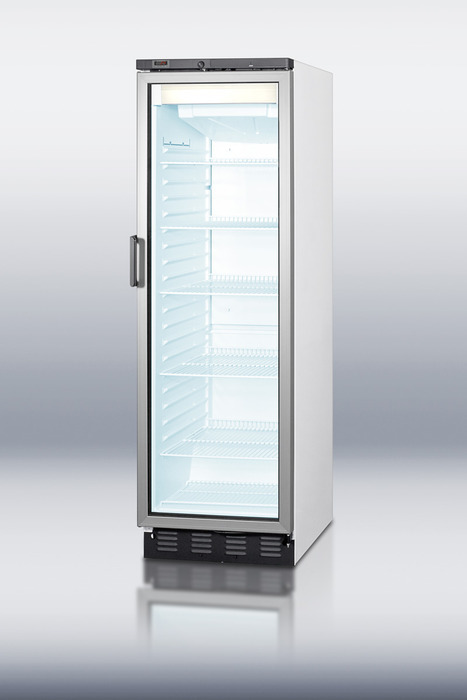 – If you have an older refrigerator, look into replacing it with a more recent unit. Energy efficiency improves all the time, and has made significant strides in the last few years. That means a new unit could be considerably more efficient — and cheaper to run — than one even a few years old, and units coming up on twenty years old can be replaced by Energy Star units that cost a third as much to run. You can check out the Energy Star Refrigerator Calculator to find out how much you could save. There’s no reason not to check. – Replace your air conditioner with a more energy-efficient model; look for SEER (Season Energy Efficiency Rating) of 14 or more. If you don’t have central air and are currently using a series of window units, look into a mini-split system; less intensive in installation than central air, it provides the sort of comprehensive control and versatility you get from single-window units with greater efficiency provided by the single central AC unit. That’s unparalleled flexibility and efficiency at minimal cost, without requiring wasteful and inefficient ductwork. There are plenty of reasons to own a dishwasher. Perhaps the biggest one on your mind is ease of use. Yes, dishwashers give us permission to be lazy. Washing dishes can really be a pain; you have to scrub away, really putting a lot of elbow grease into it sometimes to get those last bits of old, encrusted food off your nice new china. Who wouldn’t prefer to just be able to stick the dishes in a machine. But did you know there are actually good reasons to own a dishwasher? And that in fact, you’re actually being environmentally friendly in doing so? The best reason to own a dishwasher is that it will almost certainly reduce your carbon footprint. Straight up. The reason is that the way most of us hand-wash dishes –under a constant stream of scalding water — is incredibly wasteful. And I really mean that “incredibly,” as in “very difficult to believe.” This can use almost 8000g CO2e (CO2e is “Carbon Dioxide Equivalent” is the conventional laymen’s measurement of the climactic impact of an action, totaling the impact of all the greenhouse gases caused by an item or activity rolled into one and expressed in terms of the amount of CO2 that would have the same impact); conversely, a dishwasher running at 130°F could only use 770g CO2e. That’s less than a tenth the measure for conventional hand-washing. It’s also only marginally more carbon-intensive than using far the far less effective method of washing by hand with sparing, mildly-warm water, which most people don’t do anyway. The reason the difference is this dramatic is that most people get their hot water from gas-powered boilers while dishwashers use electricity to heat up cold water; while electrical generation is generally less efficient than gas heating, most people will use such a dramatically larger amount of heated water, so while gas may be technically more efficient, actual usage favors the dishwasher. Dishwashers are also simply more effective at keeping your dishes clean and relatively sterile; hand-washing using water sparingly will often leave up to 400x more bacteria on the surface of your dishes. In fact, dishwashers in the United States are required to meet NSF standards for sanitation which mandate certain levels of dish sterilization, which you will simply never be able to meet washing by hand. To summarize, dishwashers use less water, less energy, pump less CO2 into the atmosphere, all while getting your dishes much cleaner than you could on your own. In other words, dishwasher ownership and use can be seen as a form of responsible environmental stewardship, and you should use yours fearlessly. For best results, use only when full, and make sure you’re using the appropriate settings. Be sure to keep an eye out for the Energy Star label, too, to be sure you’re getting the most energy-efficient product in its category. Whether they’re Whirlpool dishwashers, GE dishwashers, Bosch dishwashers, Frigidaire dishwashers, or any other manufacturer, dishwashers as a rule are great ways to exercise responsible conservation of the planet’s resources. There are other benefits, too. So let’s go into those, too. First, you’ll save money. Because they use less water and less energy, you can expect to save around $100 a year with regular and appropriate dishwasher usage as opposed to hand-washing. Additionally, your dishes really do get much cleaner and more hygienic due to the dishwasher using far higher temperatures than human skin can tolerate. With a strong detergent, your dishes will be rendered virtually sterile and preserved from exposure to the sorts of bacteria that can build up on exposed, wet sponges. Not to omitted is having a cleaner kitchen due to dishes not hanging around in the sink or dish rack, so there’s simply more space available and far less visual clutter and exposed food. They’re also not difficult to use or maintain, so you get all the benefits enumerated above without any difficulty in operation or upkeep; dishwashers with hard food disposal spare you even having to rinse your dishes first, as they can adequately deal with any chunks of leftover food remaining on your dish surfaces. And many quiet dishwashers operate at near whisper-quiet sound levels — often as low as 40 dB — which means that these aren’t loud, clanking machines, so you also get cleaner, safer dishes and a smaller carbon footprint in near silaence. Most of these benefits can be extended to portable dishwashers and countertop dishwashers as well, which means that in situations such as rentals, sublets, and co-ops where you can’t install a full-service dishwasher you can still get a workable dishwashing solution. These small form factor dishwashers are single-load dishwashers usually limited to holding around six place settings, and are usually more than enough for homes with only one or two people. They’re inexpensive, easy to maintain, and don’t require extensive installation, while offering you all the benefits of larger units. So there you go. Dishwashers are a sound investment, good for the environment, and better for your home than washing your dishes by hand. They’re certainly worth considering. Christmas May be Over, But Don’t You Deserve a New Kitchen? Now that we are locked in the freezing threat of winter, we must hunker down in our homes and stay warm until spring arrives once again. While very few of us enjoy the extreme chills and potential snow fall, we can still get excited about the prospect of updating our home during the winter. For the most industriously minded out there, the cold season is a wonderful time for interior home improvement. If you’ve already taken care of the most common problems that plague home owners, you can look into the bigger tasks since over the next few months you’ll likely find yourself indoors more often. A popular trend that has recently gained a lot of attention is kitchen improvement. Though it may seem somewhat laborious at first, there are actually several benefits to installing new kitchen appliances. With enough work, you can even transform your kitchen into something completely different and innovative. Most people are overly accustomed to how they kitchen already looks and forget it is within their power to change it. Set yourself apart by providing an alternative that is sure to turn heads. 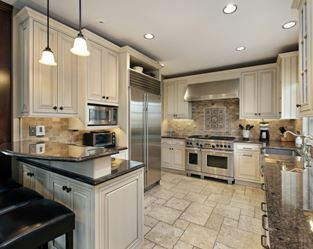 Your friends and family will all wonder why your kitchen looks better than ever, and you can explain to them it was due to your own skillful endeavors! The cardinal place to start is at the most popular place in the entire kitchen – the oven. There are countless different ovens and ranges available to choose from, but pick the one that best fits the look of your new kitchen. It will serve as your reference piece, and much of your new look will be dependent on whether it matches the new oven. Slowly and surely, from the starting point outward, you’ll notice your kitchen will begin to take on a newer, fuller, cleaner appearance. It’s up to you and you alone to decide how far to take the transformation, so have fun and let your imagination run wild. Continuing to put off this upgrade will only cost you more money in the long run. It would be best to procure all of the needed tools and materials before it becomes much colder, as well. Take control of your home, and adapt it to your great taste today! 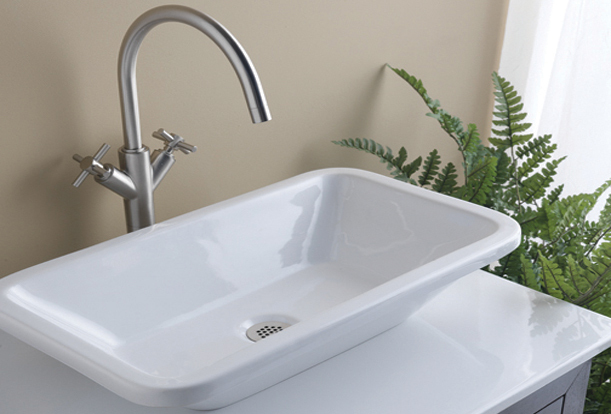 Appliances Connection is extremely proud to announce that we will now be carrying bath products from Barclay, a renowned and respected manufacture of all manner of bathroom fixtures and fittings. Their beautiful, high quality products are some of the finest in the industry, each made with the best in modern manufacturing. Every Barclay product is built to last, each one an almost heirloom-quality fixture sure to serve for years upon years. Barclay has been in business since 1982, but has a legacy that goes back to 1933, when it was originally founded at Sterling Showers, where their innovative Converto shower unit helped spark the shower revolution in the twentieth century, bringing clean and water-saving bathing to homes where it would never have been possible before by providing claw tubs with a reliable showerhead and curtain rack. Since that time, Barclay has expanded into every category of bathroom product, bringing the same commitment to high-quality long-lasting design and construction to everything from showers to bathtubs to sinks to toilets, even mirrors and sink vanities. With well-researched and beautiful designs, Barclay is always on the cutting edge of home decor trends, offering everything from clean, ultra-modern designs to timeless classic looks. With Barclay, you can design your bathroom exactly the way you want to. Home interior designers have traditionally called the bathroom the most neglected room in the house, a purely functional space into which went little thought and less effort. But all that has changed, and Barclay is at the forefront of the bathroom design revolution the same way they were the vanguard of the shower revolution in the 1930’s. These are extraordinary bathroom product made by an extraordinary company that has worked hard to develop products that bring an atmosphere of class and elegance even to that most utilitarian space of them all, the bathroom, with a non-nonsense attitude and dedication to craftsmanship and good work. 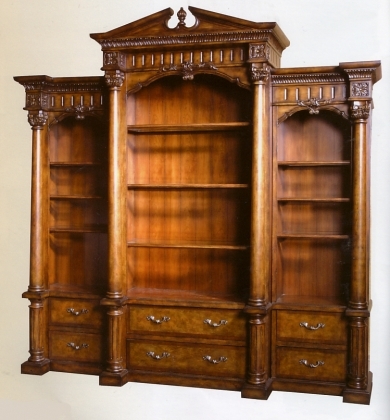 It’s that attitude and dedication that has earned Barclay their place in our catalog of remarkable things. The polar vortex may be easing over much of the country, but it’s still cold out there today, and that means it’s time to think warm thoughts. I don’t know about you, but I like to fantasize about setting up a cozy reading nook next to a warm fire, so I thought I’d share some great reading nook ideas with you. The most important part of a cozy reading area is to have the right chair. Believe me; I scoured AppliancesConnection.com to try and find the perfect one, and I believe this is it. It’s even called the snuggler, people. The snuggler. 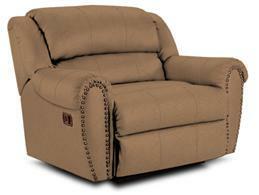 And doesn’t it look amazingly comfortable, like you could just melt into it? It sure does. And that means it’d be a great place to unwind with Martin Buber’s I and Thou. Or I dunno. Harry Potter. As long as we’re dreaming, let’s dream big and kick in a full-on classical fireplace so we can enjoy the comforting heat of an open flame. This is made from cast stone and features a real black fossil stone top, and for convenience sake, features an on/off remote control. 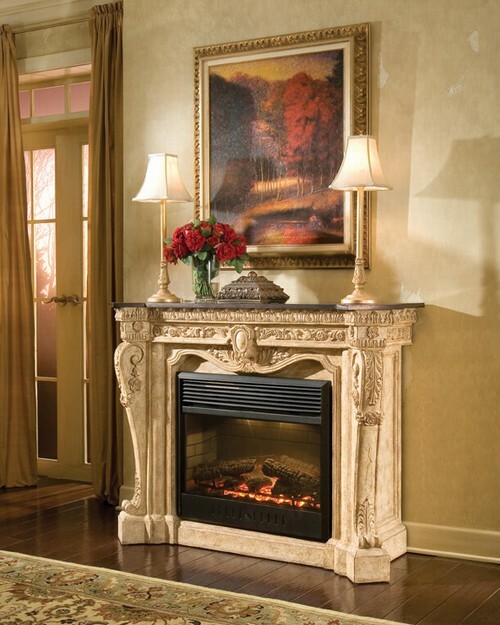 This is a clean, fume-free, smoke-free gas fireplace that doesn’t require kindling – just a natural gas connection. So curl up and read in ease. What’s a reading nook without books? This luxurious bookshelf gives you an awesome place to store your books, right within reach of your bone-meltingly comfortable recliner. Combined with the fireplace, you’ll be warming yourself in heat and class all at once, ensconced in the perfect nook. Finally, let’s complete our nook with a decorative rug. 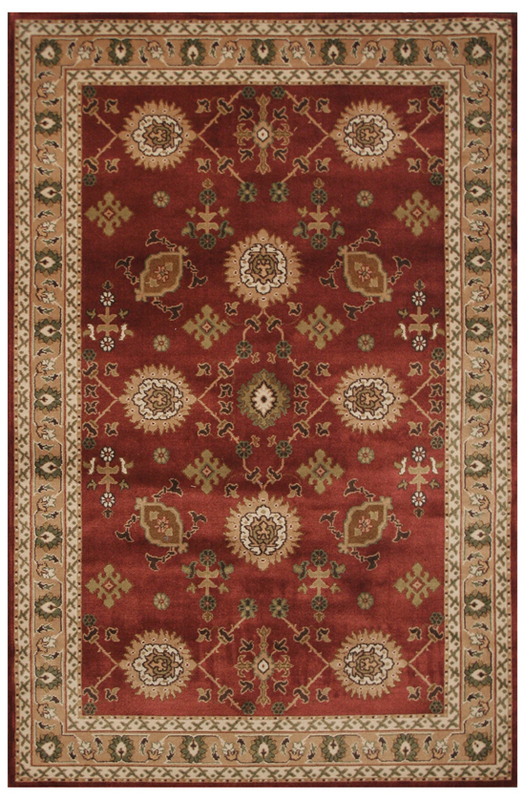 This beautiful oriental-style spring rug features traditional design and modern manufacturing techniques, making it the perfect accent to any reading corner. Actually, I have lots of crazy theories. I’m fairly certain Wyoming doesn’t exist, that the government is behind NASA, that English is actually a form of Dutch, that Jimmy Hoffa never died and is in fact Carol Channing, and that the Internet doesn’t work, and the fact that it looks like it does is just a staggering coincidence. I’m also fairly certain none of those are true, but hey, it’s fun to dream. My current crazy theory is that every single Journey song is about an appliance in the Appliances Connection catalog. Some of these are pretty obvious (can there be ANY DOUBT that “La Raza del Sol” is about the Friedrich SH20M50A air conditioner? “He’s a proud man / He loves a girl / With eyes that sparkle like diamonds…” DEFINITELY the Friedrich SH20M50A). So I’m going to break down how these ten huge Journey hits are really about some of our wares. This is the truth. This is the secret history of Journey. What may look on the surface like a straightforward song about teen love is actually so much more. All one needs to do is read between the lines to see a song truly rooted in one’s admiration and love for the performance of the LG LDG3036ST Large Capacity Double Gas Oven. Truly, what he recalls is the time when, as a young man, he first laid eyes upon this units two cavernous oven cavities and five-burner cooktop. Could this be any more explicitly about the unit’s 16,000 BTU of cooking power, and the delights of making that first roast? I know I sure fell “stone in love” for this unit, and clearly so has Steve Perry. There is a secret wisdom in “Separate Ways (Worlds Apart),” available only to the initiate. But if you come closely, I will whisper in your ear the truth of this song. It is the truth of a thousand ages. It is the truth of the Samsung WF365BTBGWR 27″ 3.6 cu.ft. High Efficiency Front-Load Washer. Hidden in code, obscured behind the occultation of imagery and strange magicks, one can see it in the mind’s eye alone. Promises were made in vain — by lesser washing machines, that could never clean, and only ever sullied. Using a washer that doesn’t perform is a trouble time, causing confusion and pain. In your eyes is only sadness. But, the song reassures us, “Someday, love will find you / break those chains that bind you.” Resolution can only be found in the true embrace of love in the WF365BTBGWR’s digital controls, nine wash cycles, delay start system, and strainless steel drum, a message of hope for everyone caught in a wash cycle of madness and pain. For now, you may be separated from a true washing solution, but “true love won’t desert you;” the WF365BTBGWR is always waiting for you. Turns out “Don’t Stop Believin'” isn’t about appliances. So here’s a top-of-the-line bestselling refrigerator, and some lyrics from the song. If I really wanted to, I could make the case that these verses are about the 3-Tier Organization Freezer system, which helps keep your food organized and accessible, making it easy to prioritize the contents of your freezer effectively. I could say that the freezer is the “lonely world,” and “South Detroit” is the extra space provided by the LG Slim SpacePlus Ice System, but it isn’t. There is no South Detroit. South of Detroit is Windsor, Ontario. These lyrics mean exactly what they say. None of it is about LG’s SmartPull handle, which makes opening and closing the freezer quick and easy with the effortless life of a handle, or the unit’s cavernous 24.5 cu. ft. capacity. Neither does it have anything to do with the Smart Cooling Plus technology it utilizes, maintaining superior conditions throughout. “Don’t Stop Believin'” has nothing at all to do with this or any refrigerator, and this refrigerator has nothing to do with “Don’t Stop Believin’,” unless it falls out that Neal Schon happens to own one. Has anyone else ever had they idea that we should be actively marketing our products toward Journey lead guitarist Neal Schon? Neal Schon, if you’re out there reading this, call us. Let us sell you a refrigerator. Your guitar solos are amazing, so please buy a refrigerator from us. If I can make it so that this blog post leads to Neal Schon actually purchasing a refrigerator from Appliances Connection, my life will have been worth living. I’m going to make this my personal mission. It doesn’t even have to be a particularly expensive refrigerator. It would just be pretty balla if we did some business with the lead guitarist from Journey. We can do it. We can sell Neal Schon a refrigerator. All we have to remember is one simple bit of advice. We live in the future. I’m convinced of it. This is the future. The present is probably somewhere around 1978 or something. We have futuristic electronic music that can make any singer sound perfect. We can watch any TV show in the world over the internet, a giant network of interlinked computers that has more or less supplanted the physical world as the nexus of finance, entertainment, and, um, ordering pizza. Everything from wearable tech to tablets and smartphones have in many ways radically redefined how we live and interact here in the post-industrial information age West. We’re constantly connected, at home or away, via a complex interacting web of wires, processors, and radio signals, all coming together to form something simple: our lives, but better. And now there’s a new development from GE, that storied name of home appliances and electronics, the company that built a better microwave. It’s called Brillion, and it’s better than the Pontiac Aztek. 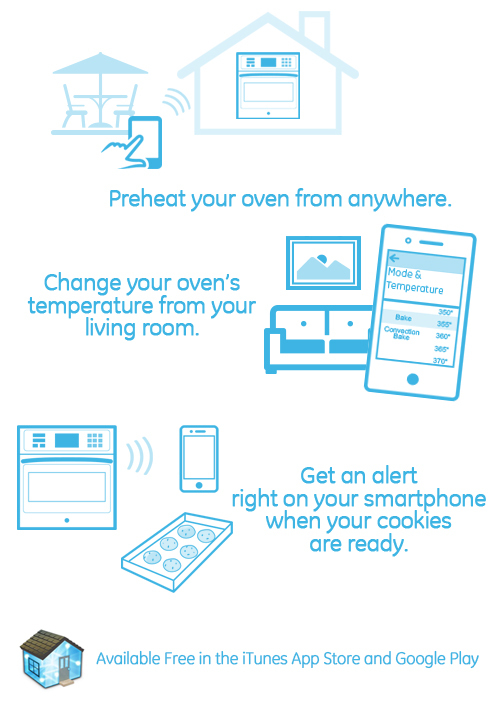 Brillion is a brilliant new idea — smart appliances wirelessly connected to the internet, capable of being controlled remotely via smartphone. Simply put, you can turn on your oven before you even get home, and find it perfectly pre-heated and ready for the roast as soon as you walk in the door. It means your smartphone will receive notification when your food is done. It means you can adjust temperatures from your living room. In short, it means you’ve got a level of convenient control never before imagined. Brillion is currently available for a small selection of appliances, but the rollout has been hugely successful, and 2014 will bring in new models capable of connecting to Brillion, meaning more options at more price points offering this amazing new level of versatility. Well, today is the last day of 2013. The new year is mere hours away, and will soon be upon us. It will never, ever be 2013 again. Let’s take a moment and reflect on that sobering reality: no matter what happens, whatever calendars we may use in the future, this past year will never happen again. The choices we’ve made, the things we done, read, seen, loved, wanted — it’s all in the past. We’re all a year older than we were, and there’s no giving that time back. I can’t say if it’s been a good or a bad year for you. I don’t know if you think you’ve grown at all, if you’re at all close to the “you” you want to be. We’ve all got bad habits we need to break, areas where we need more discipline, places we want to visit, areas where we could improve ourselves or make others happier, or both. New Year’s resolutions are a beautiful practice, a moment where we at least acknowledge our better angels, our ideals and our goals, and tell ourselves we’re going to make good this time. Some people might be cynical about failure; but all failure is is an opportunity to pick yourself up and try again. And again. And again. Because that’s what it takes to succeed. Here at Appliances Connection, we want to offer you a hand on your bath to bettering yourself and the world, so here’s a list of some New Year’s resolutions I think we can all keep. Take the stairs instead of elevators or escalators. Extra points if you live in a high rise. Hide your smart phone during meals. A fun game when you eat out with friends is to make everyone put their phones in the middle of the table, and the first one to take it out has to pay for everyone’s food. Cook at home more often. You’ll learn new skills and be eating better. Hot Pockets and Rice-a-Roni doesn’t count. Call your mother. She loves you, you know. Get a bike. Ride it. Ride it everywhere. Dance, even if you have nowhere to do it but in the privacy of your own bedroom. Head to bed a half hour early and read a book instead of spending time online or watching TV (or both, if you’re like me). Seriously. Read a book. Read lots of books. Find a subject you enjoy and pick up a book about it. I don’t care if it’s a time-travelling vampire romance novel. Read a book. Replace your smoke alarm batteries! Or hey, just get some smoke alarms. Drink more water and less soda. Soda rots your teeth. Your dentist says this all the time. He’s not kidding. I dunno, lay off the salt. See your doctor at least once this year for a checkup. Make your bed every morning. It takes three minutes and makes you feel better. Start eating almond butter. No, it’s not as good as peanut butter, but what is? Dream journal! You’ll be surprised how weird the stuff your head does when you aren’t paying attention can be. Pack a bag lunch at work instead of eating out. Compared to what you’re spending on lunch at Hale & Hearty every day now, this is basically free. Listen to some new music. There’s a lot of great stuff out there. Let yourself fail. Then keep going. Donate to charity. There’s a bunch of great ones out there — the Red Cross, Heifer International, Plan USA — and they all let you set up automatic monthly deductions. It takes five seconds and can change a life. Quit smoking. Try, anyway. Don’t get too frustrated, but work on it. Nicotine gum works wonders. Learn a decent party trick. Just one fun, stupid skill you can show off at parties. Things like snapping all your fingers at once, doing a spot-on Donald Duck, reciting the alphabet backwards, speaking Ubbi Dubbi. Make a new friend. I know it’s hard, but do it anyway. Friends are awesome. Rid yourself of frenemies. Life is too short to spend it with people we don’t love and who don’t love us. Quit Instagram. It doesn’t matter how many people like your photos, so don’t use that to measure your personal value. Seriously, turn off your smart phone at dinner. Replace some old busted appliances. Check out these sweet refrigerators. Get your own stupid Netflix account. Stop mooching off your mom. Learn your way around your town. This is easier in Water View, Virginia than it is in New York. Do it anyway. Take a class! Whether it’s learning French, how to cook, Zen and the ar of motorcycle maintenance, or something else, learn something. There’s a bunch of great free online courses, too; iTunes U offers college classes free of charge, and Coursera has fully-involved online classes that are totally free. Don’t try and do all of them. Or do. It’s your choice. But just remember that the point isn’t to spend 2014 driving yourself mad, but to become a better, happier person. So dig in and do the work, and you’ll be glad you did. New Year’s is almost here, and what better way to mark the inevitable, constant, drumbeat march of time than with a slammin’ house party where you get completely smashed and stay up all night blasting Led Zeppelin? Absent that, how about a classier affair, subdued and mature, where you drink martinis and discuss current events and someone is in the corner quietly working on the New York Times crossword puzzle? (“6 Down. ‘Operation Ajax PM.’ Starts with M, eight letters…”) Whether you’re at either extreme or somewhere in the middle, a good party with friends is always a fun way to ring in the year. But where do you begin? The first step is always to figure out what sort of party you want to throw. I, for one, recommend a Punky Brewster theme; the eighties are still fun, right? But whatever your tastes, you’re going to need some supplies: ice, streamers, a giant ball covered in three-thousand Swarovski crysals lit by 32,256 LED lamps totaling 625,033 lumens of lighting power, some red Daisy cups, napkins, that sort of thing. But once you’ve covered the essentials, it’s time to start thinking a little….bigger. Liven up your party with some of the great ideas below. You have to have a place to serve your drinks. Sure, you could just use your kitchen counter like most people do. Heck, you could use your dining room table. But why have steak when you could have filet mignon? That’s why you need a bar. Listen. This is a place to both serve and store your drinks and look classy while you’re doin’ it. There’s a lock to protect your liquor from prying hands, or the government or whatever. Removable wine storage racks only make it better. And that footrest! 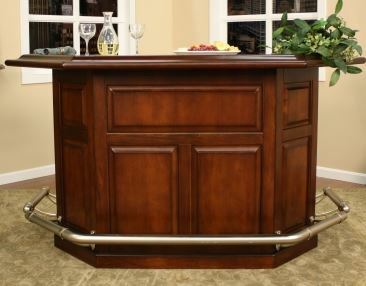 Imagine how absolutely killer you will look with one foot propped up on it while you nurse that rum and coke. The answer is very absolutely killer. And it’s a great accent for your home, just sort of generally speaking. What, praytell, is a beverage center? Far from being a wine and spirits outlet store (or hey, maybe it’s that, too. I’m not here to judge), a beverage center is a specially designed display freezer made to store beer and other chilled drinks at an icy 24F. This means that your beer will be perfectly chilled every single time, right down at the low end of the thermometer, all the while placed on display for all the world to see. That means you aren’t just chilling your beer — you’re showing it off. Place your epic beer stash right at center stage, where it belongs, the subject of the gathered oohs and aahs of all your friends, relatives, and acquaintances. That’s the way life should be. It’s December, and it’s soon going to be January. While 2013 may end abruptly at midnight, winter will still be going strong. And depending on where you live, that might just mean you’ll be a bit reluctant to take the party outside into the bitter, stinging cold. That’s understandable; who wants to break the night’s heat with the night’s chill? But with a patio heater, you won’t have to. A good patio heater provides a cone of consistent warmth extending out into the darkness and cold, within which you can continue to party hearty all through the night, even after the ball drops. 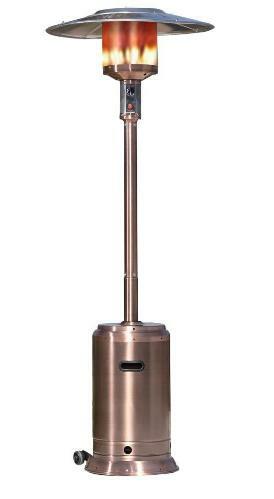 Offering tens of thousands of BTU of heating power, a strong patio heater offers heavy duty protection from the hazards of winter in an attractive package. Hot parties need cool drinks. And that’s where a gen-u-wine Margaritaville Frozen Concoction Maker comes into the mix. Take your party to the islands with this, your passport to pleasure and fun. 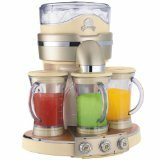 Featuring three independent blending stations, this guy has six automated drink settings, making it fun and easy to both make and consume margaritas, daiquiris, coladas, mudslides, mojitos, and smoothies ’till the sun comes up in 2014. With this, you can drum to 72 ounces of restaurant-quality pitch-perfect tropical goodness to help you ring in the new year the right way — thoroughly sloshed..
It’s an idea that’s beautiful in its elegant simplicity: melt chocolate, dip things in the aforementioned chocolate, eat the things you have so dipped. And why not? Chocolate is delicious, and it should be eaten as often as possible, said no doctor ever. But forget the doctors! It’s New Year’s , and that means it’s time for alcohol and sweets. So that’s why we absolutely recommend you check out — and probably buy, if we’re being honest — a real rootin’ tootin’ chocolatiere. Listen to that fancy name. You’ll be partying like the Marquis de Alencon or whoever, You could dip everything in chocolate. Eat chocolate covered peanuts. Dip ice cream. Or pour the melted chocolate into molds for your very own custom holiday candies. Or hey just dunk everything in sight and go to town. It’s your life. I’m not here to tell you what you can and can’t do with a bucket of melted chocolate. And there you have it. Those are the five things you need to buy to have a great New Year’s party. That’s it. Ipso facto. Just those five things.